The phone on my desk rang, startling me so much I actually jumped. Glaring at it, I heard Claire snickered so I transferred my glare toward her. We had been getting calls all morning, and she was currently on hold with one of the local shelters which left me to answer the phone. 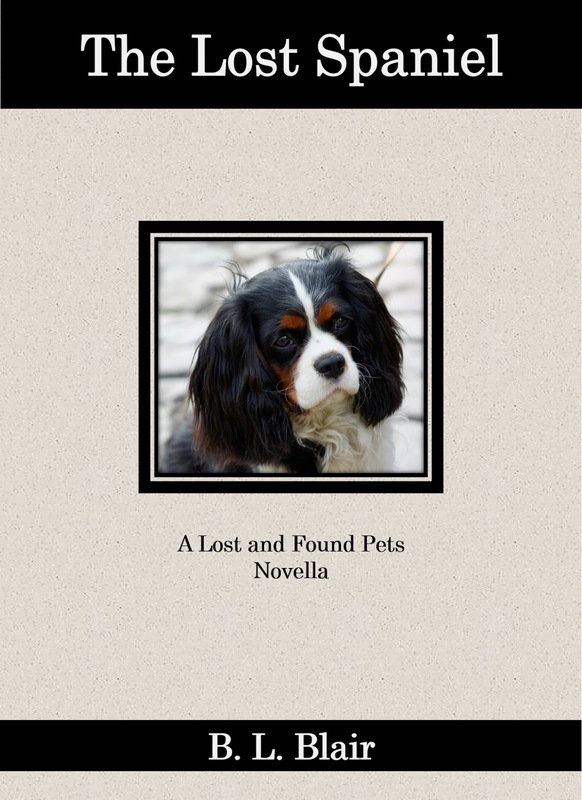 My agency, Lost and Found Pets, is a private investigation firm specializing in finding lost animals and reuniting them with their owners. Our business is usually steady, averaging ten to eleven cases a week. We are busiest in the summer and a little slower the rest of the year. But last week, I had recovered a lost Savannah cat for a wealthy family who lived in the Highlands community. Grace Carmichael, my client, had spread the word about our agency over the weekend. We were now busier than we had ever been. We had four new cases in the two hours since we opened, and I had turned down two others. So the ringing of the phone shouldn’t have startled me, but I had been concentrating so hard that I still jumped. My social skills are not the best. I tend to be blunt and short with people, having little patience with small talk and chitchat. I can play the game if needed. I just don’t see the point. Claire says I do it on purpose. I glanced at her and then back at the phone before picking it up. “Lost and Found Pets,” I said in the most monotone and dismissive manner I could muster. Claire sighed and rolled her eyes. This time I snickered, and a grin started forming on my face causing Claire to laugh. “Alex,” said a gruff voice. My grin widened. Eddie Hill is my former boss and mentor. He had hired me years ago as a part-time employee at his private investigative agency. Working for Eddie had allowed me to learn the trade and get my own private investigator’s license. He had also taught me more than anyone else. It hadn’t taken me long to realize I didn’t want to spy on people or take pictures of cheating spouses so I decided to open my own agency with a twist. This also gave me the control I needed to set my own hours and limit the number of cases I took during a time when I needed to be with my aunt. Nora Prescott-Northup had been recently widowed and newly diagnosed with cancer when I arrived in her life at the precocious age of thirteen. My mother, Nora’s much younger sister, had just died from a drug overdose, and I was all alone. Nora had taken one look at me and welcomed me into her home. The cancer went into remission for a while, and I graduated from high school and headed off to college. But the cancer came back. I returned home to do what I could to help. Working private investigation gave me flexibility, and when Nora’s health deteriorated even further, I opened my own agency in the dining room of our home. Without Eddie, none of this would have been possible. I held back a sigh and closed my eyes a moment. Four new cases meant a lot of work. We seldom had more than two in one day, and it wasn’t even noon yet. Claire could make the calls and post the information on social media, but someone needed to do the physical searches. And two of the clients had requested Hero. My agency offers two types of searches. A basic search and an advanced search. The basic search is when we call vets, shelters, and rescue groups, post on social media, and create a flyer campaign if needed. We also physically canvass the neighborhood. The advanced search is when we do all that and bring in Hero, my search-and-rescue dog. For the basic search, we charge one hundred dollars an hour with a two hundred dollar non-refundable deposit. For the advanced search, we charge triple that. Two advanced searches in one day would do a lot for the agency’s bottom line. However, they would have to wait if Eddie needed me.